by George Allan, LincsMag Writer. After a long week there is nothing better than enjoying a bit of spare time. Many of us take up a hobby or two, however most us spend on average 14 hours a week surfing on the internet, with 86% of this time being on social networking sites such as Facebook and Youtube. Well, if you're one of these people then ask yourself ... are you making the most of your spare time? If the honest answer is no, then how does the idea of learning a new set of life saving skills and the opportunity to then use those new skills to serve your local community sound? Lincolnshire Integrated Voluntary Emergency Service (LIVES) is a Lincolnshire organisation operated by local volunteers in the community. L.I.V.E.S works alongside the emergency services in providing emergency treatment to local residences. So how does it work? LIVES operate in small groups in towns and villages all across the county, in these groups there a number of volunteer Responders. They attend to real 999 medical calls, the Responders are specially trained to provide early Basic Life Support and even in some cases Defibrillation and Oxygen therapy. LIVES Responders are there to provide emergency care to a patient in the period of time between the 999 call being made and the Ambulance paramedics arriving on scene. This rapid response is invaluable, for example, if a patient is in Cardiac Arrest (Heart Attack) the chances of survival decreases over 10% for every minute of delay until aid arrives. The government response target for emergency services is around 8 minutes; this means that this patient’s chance of surviving is less than 5%! That is pretty scary when you hear in the news about people who suffer with heart complaints are increasing. This is where you can begin to see what an important service LIVES provides and it’s even more impressive when you consider the fact that these Responders are all volunteers doing something constructive with their free time. When you look at LIVES latest official stats for 2010, the evidence of their importance is even clearer to see. 2010 LIVES members have attended over 15,000 emergency calls, 196 of those emergency calls involved cardiac arrests with a staggering 38 of those patients surviving. The average response time in 2010 was 4 minutes 15 seconds, that means with a village or town with a LIVES First Responder group, their chances of survival after a Cardiac Arrest was actually increased to 35%. That is an astronomical gap between survival rates. 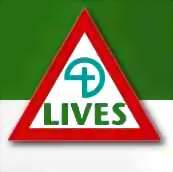 Yes it’s true you can actually join LIVES and be a part of this fascinating growing team of volunteers and learn how to deliver life saving care and serve Lincolnshire in your free time. Anyone can pretty much be a First Responder; all you need to be is 18 or older, with a full clean driving license. There are a couple of physical requirements, you need to be able to carry a medical bag obviously, this can weight about 15kg and you will need to be physically able to kneel and carry out CPR for 20 minutes. You don’t need any previous training or experience, as they will provide all of your training! The amount of time you give is totally up to you; you do need to give 3 days just for the actual training but after that you can completely fit it around your life. Even if you’re on duty you can actually do many of your normal activities without affecting your ability to respond when needed. The immense pride you feel when you’re working alongside the dedicated paramedics who serve Lincolnshire every day and night is unmatched by anything else. It is so easy to get involved; the people are really welcoming and informative. There are many different roles to play in LIVES, if you don’t fancy being a Responder because of the physical demands or the sight of blood, then you can help with being a part of the fund raising side of things. Here is a link to their website, lives-responders.co.uk, where you can order an information pack free of charge and it will go into further detail about their work and the opportunities to be a part of their team. There are so many communities across Lincolnshire which doesn’t have any responders local, they desperately need more volunteers.